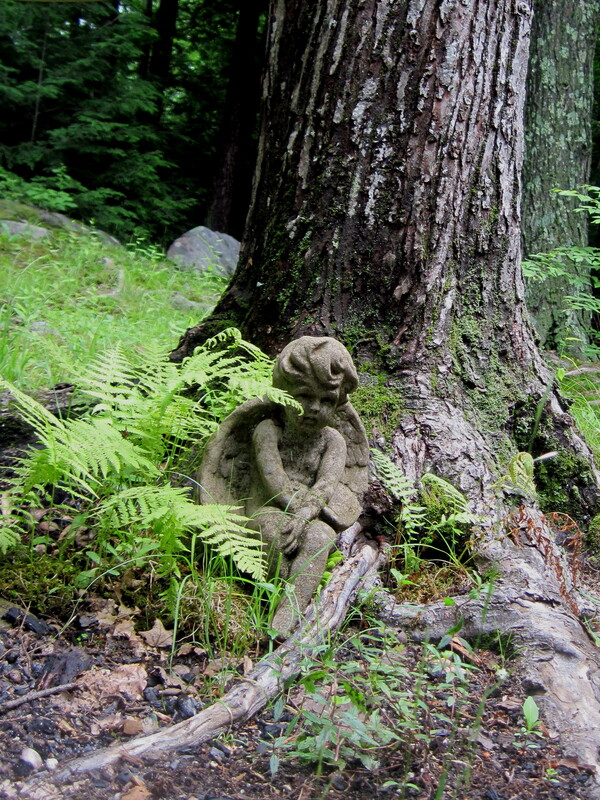 RavenWood is nestled in a quiet hemlock forest in the foothills of Western Massachusetts. Teaming with wildlife, woodland ferns and flowers, mossy pools and stone ledges, the land offers peaceful communion with the more-than-human-world. A short walk down the road, the forest opens into fields with long views of the Berkshire hills, ponds and surrounding farms. The East Branch of the Westfield River flows through the town of Chesterfield, cutting a deep gorge in the stone ledge along which run forested trails for hiking.The hill towns of Western Massachusetts are a destination for nature recreation, antique stores, cultural events, organic farms, artisan bakers and cheese makers, artists and craftsmen, and numerous crafts and country fairs. 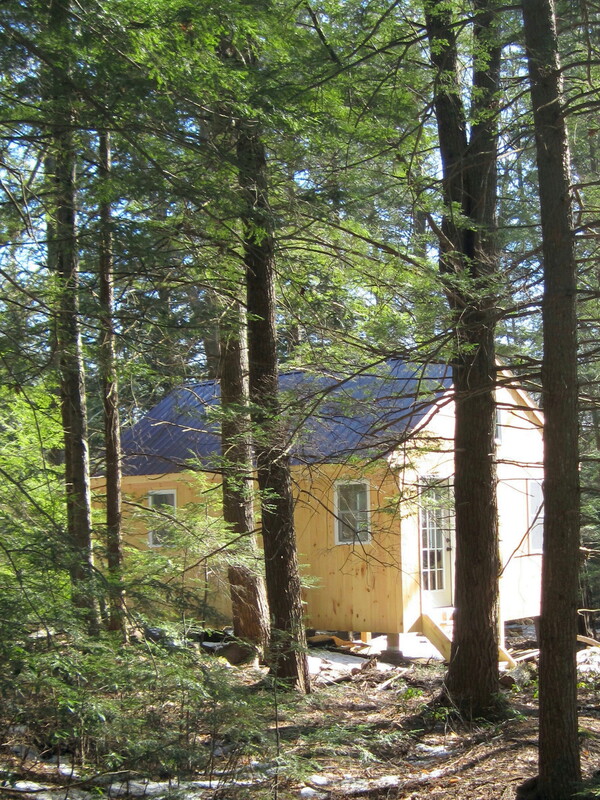 The Studio is tucked into the forest, a short walk from the main clearing. It does double duty as Valerianna’s studio and the space for classes, workshops and retreats when we’re not out in the woodlands. 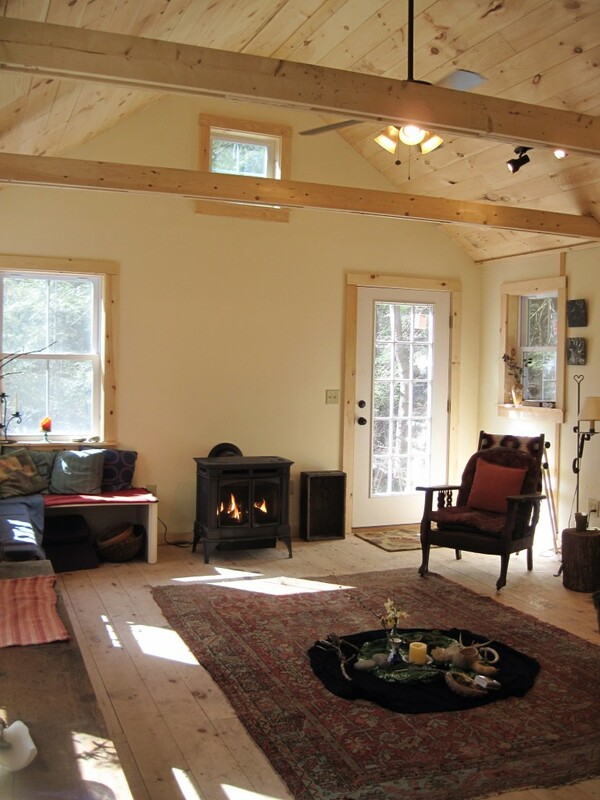 It is a rustic space with ample light and a composting toilet, filled with art, natural objects, books and inspiration. In the winter, it is heated with a gas stove, providing a wonderful ambiance. The space is kept flexible with sawhorse tables that can easily fold away for open floor space for retreats, gatherings and special events. 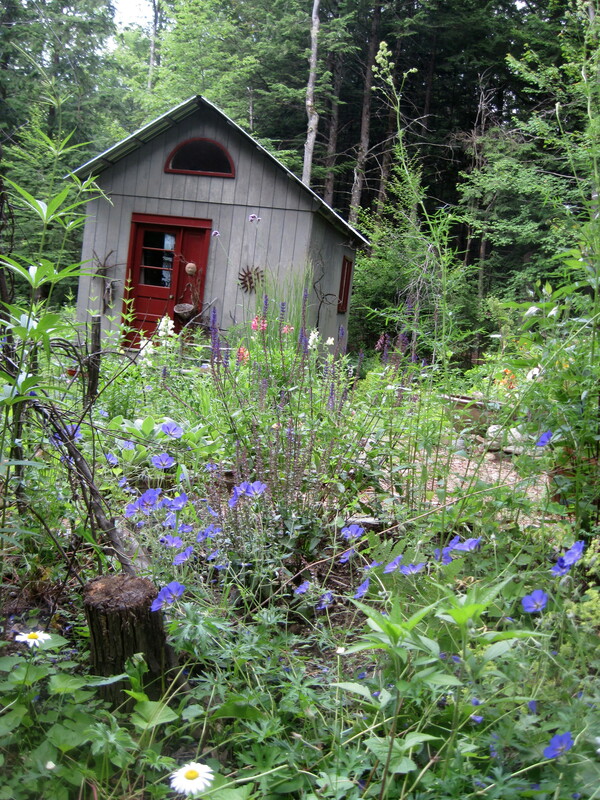 The Retreat Cottage is Valerianna’s former studio, and currently being re-organized as the home base for people on individual retreats. 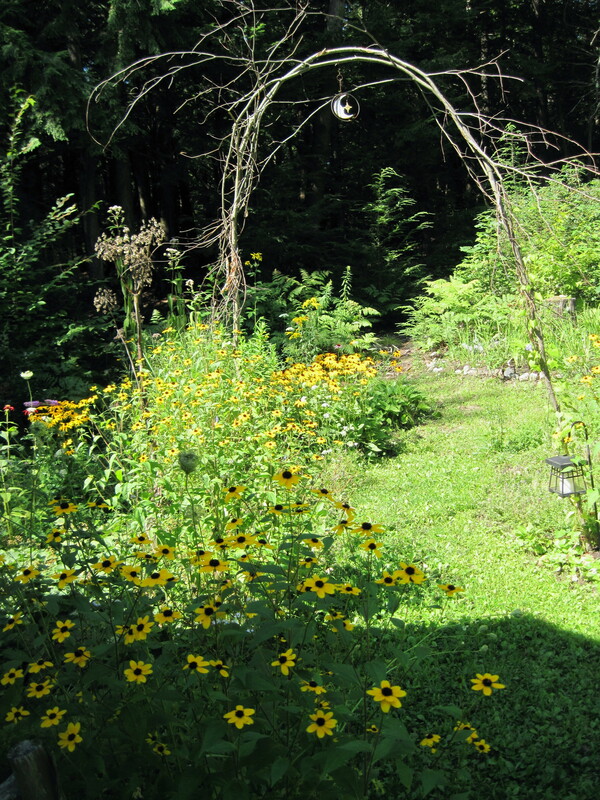 It is close to the main house, surrounded by the perrenial gardens and steps from the forest path. 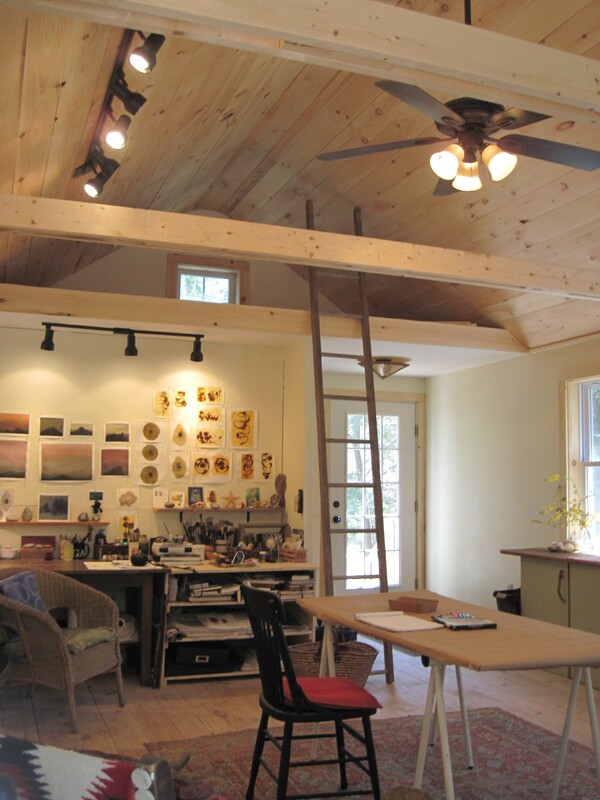 For many more photos of the forest, studio and Valerianna’s artwork and musings, visit the Blog page above. The Forest is of course the most inspiring thing about RavenWood. 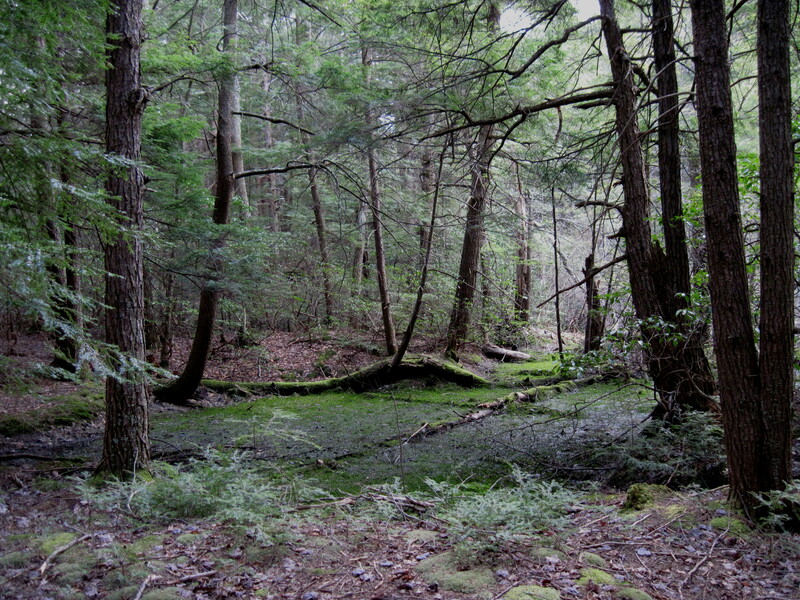 Valerianna stewards just under eleven acres of a predominantly hemlock forest surrounded by acres of protected forest and farmlands. White, yellow and black birch, oak, maple, pine, beech, and cherry are sprinkled about. Copious mountain laurel and woodland flowers put on a show in spring, and the ferns, mosses, lichens and fungi flourish in the damp understory. Moose, bear, deer, coyote, fox, fisher, porcupine, raccoon, owls, warblers, sharp-shinned hawks, and many crows and ravens share the forest – the partial list. 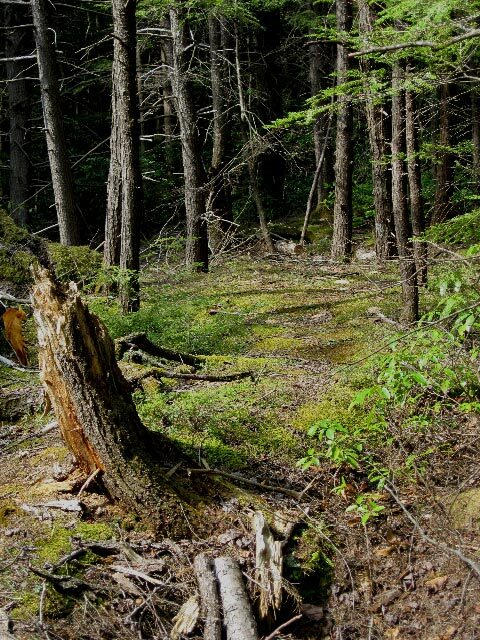 On occasion, even an otter wanders through the clearing. Below is the interior of the studo, the retreat cottage, gardens and the mossy forest path.